I’d had the idea for this painting for a couple of years and finally created it after meeting the model, Mandy, who had the perfect face for what I was envisioning. It’s based on old European folklore. The concept being that familiar spirits (sometimes referred to simply as familiars) were supernatural entities who appeared in numerous guises, most often as an animal, and assisted witches and ‘cunning folk’ in their practice of magic. They also provided protection as people came into their new powers. 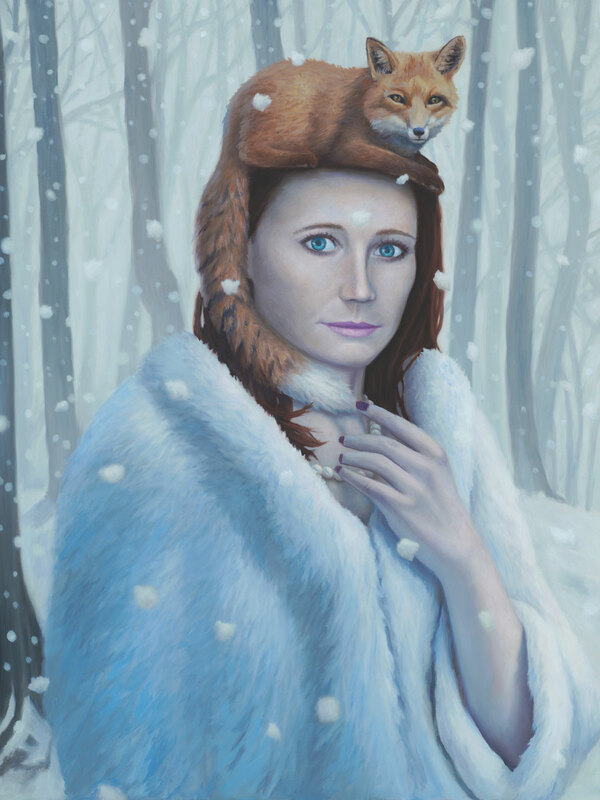 When I shared my idea with Mandy, she told me that she had a strong affinity with the fox – confirming my intuition. What’s your familiar? I think mine is the owl that calls from the palm tree near my bedroom on certain late summer nights.